But I do hedge my bets on this one! P.K.Willmott was one of the greatest influences on my gardening philosophy. He was Head Of Horticulture at Askham Bryan College and was a great horticultural educationalist, universally known as PKW or, even more affectionally, just PK. He had two missions. One was to promote the voice of horticulture to Government and he worked for decades through the Horticultural Education Association (now the Institute of Horticulture) to improve the standing and image of professional horticulture. His other passion was to elevate the quality of advice given to amateur gardeners. He despaired of the incorrect information peddled in the gardening press. Sadly, he failed on both scores. Plus ca change and in both respects, things are worse now! In his soil management lectures, PK would tell students how plants dehydrated the ground and how roots would grow deep to find water which would then be lost through transpiring leaves. He would contrast this with bare soil free of all vegetation. As bare soil starts to dry out, it quickly becomes self-mulching and surface evaporation stops. He did, of course, explain that the evaporative loss from initially wet soil is not insubstantial and each time a soil is rewetted by rain, evaporation starts again. Nevertheless, through the life of a crop, much more water is lost by transpiration than by direct evaporation from the soil. If an undisturbed soil is devoid of vegetation more water is conserved than if the soil carries a crop or grows weeds. 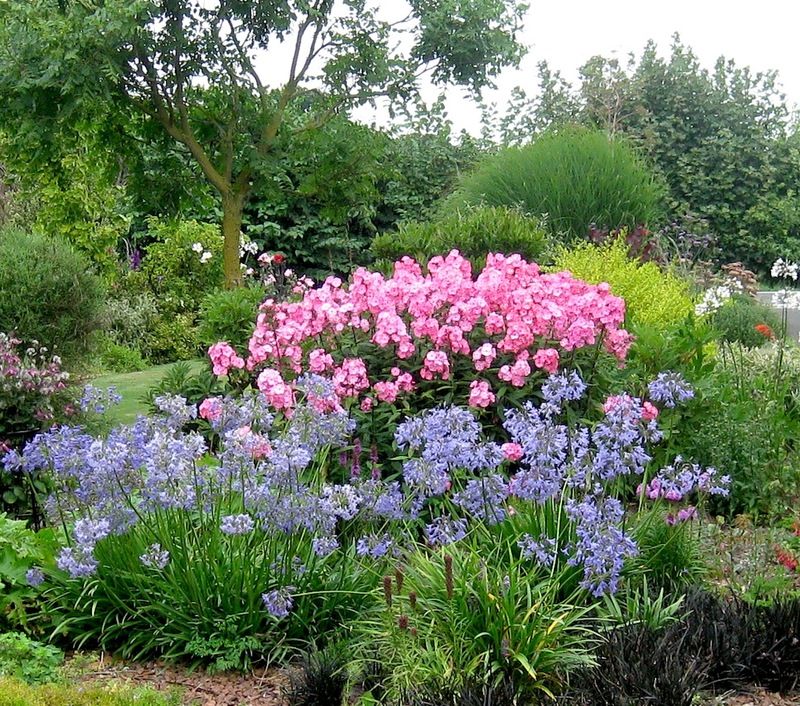 Most gardeners will have experienced for themselves extremely dry soil when lifting established plants, much drier than surrounding un-cropped soil. I frequently find this in spring when lifting early potatoes. I remember one year at Askham Bryan when the bedded wallflowers were lifted after a dry spring in late May. The soil was bone-dry down to about two foot deep and should have been heavily watered before the summer bedding was planted. It wasn’t and that dry summer the plants hardly grew at all! Lawns are one of the very worst competitors for water. Water loss is all the greater because mowing promotes active new green growth of grass. Gardeners frequently find that trees planted directly into lawns fail to grow. Luxuriant plants in pots, tubs and planters need frequent watering and yet plants with little foliage in adjacent containers die from overwatering when given the same amount. A gardener with a very weedy plot justified himself that he had left the weeds to conserve water. He was completely wrong. My Acer griseum has grass right up to its base. It has hardly grown in ten years. Is it an example of my own incompetence or just inspired design? But did Chalky White have a point? Undoubtedly moisture lingers longer at the immediate soil surface when a canopy of leaves shades the soil and shelters it from wind. Although plants dehydrate the overall soil profile this moisture might be significant for germinating seeds and for wildlife activity. Also, when drought conditions prevail some plants have adaptations to reduce water loss. Might this have some significance? Plants do have amazing effects on soil ecology. Has this self sown hellebore been able to establish despite or because of, aggressive Lamium galeobdolon? Plants are good for the soil! Ground cover is a beautiful and essential part of the ornamental garden. Far better to look at plants than bare soil. Very thought provoking.One thing is slugs love ground cover! They certainly love moist places!- taking up Chalky White's observation! As long as slugs are eating coarser vegetation and indeed their preferred food, dead vegetation, rather than my special plants I am not too bothered- unfortunately they don't always go along with my own judgements.I will be having a lot to say about slugs! squeeze through minute openings to get at food. I think that I disagree with you on this one Roger. Ground cover plants are unlikely to dehydrate the soil below because there will be minimal roots with masses of top growth. A single plant will cover a wide area but it's still only one plant! That will also be why slugs are almost always found below any ground cover plant - it's a moist environment. I think you are wrong Marcus ( please don’t mind if I argue with you,I love a good argument) The more the top on the plants the greater will the leaves lose water by transpiration ( not quite true this, as beyond a certain degree of ground cover, the amount of water loss is only further increased by more sunshine or wind).The roots on typical plants might easily go down three feet as they seek water in dry weather and they will remove substantial water from the ground. After a dry season, soils that have carried vegetation, are often in considerable moisture deficit- far greater than a soil that has been bare of plants. I think I have conceded in my comment about Chalky White’s observation that there might be some moisture at the immediate soil surface and in my response to Sue that there might be humidity under the leaf canopy-hence the slugs and perhaps also more desirable animal life. I really appreciate your disagreement Marcus, you are the first reader to put their head above the parapet. So far the readers of this blog have been far too polite. Please feel free to bite back! Or maybe we bow to your greater knowledge Roger. Believe me if I disagreed with you, you would know about it - ask my husband! You have perhaps rumbled me, I sometimes feel at question time in my lectures people do not dare disagree- even if I'm wrong! I do hope we get some more responses to this one, I have already learnt a lot from followers of this blog! We will have to agree to disagree. I am still minded to think that ground cover is an effective way to minimize soil water evaporation. It protects the soil from insolation and reduces the soil temperature and the temperature just above the soil surface, thus increasing the water vapour concentration. Maintaining ground cover also minimises cultivation in DUG gardens that dries the soil. As a non digger, you will agree with that one! I must also admit that there can be many variables, which is probably why this is contentious – soil texture, structure and aggregation, organic matter etc. The other big variable is the type of plant and depth of its roots. All this considered, along with my own observations, I cannot agree that this is a ‘myth’. I may be persuaded to concede that it could be the case is SOME instances. Thanks Marcus for your very thoughtful response. I do agree that there are many threads of inter-relating variating botanical factors. Your challenge is most helpful in making me clarify my categorical belief that the overall effect of ground cover plants is normally to dehydrate the ground and yet to agree that some very interesting effects occur at the immediate soil surface where there may be more moisture than on bare soil and that within the foliage canopy there will be humid conditions. On your part you have not conceded the very large amounts of water a plant will transpire and yet on my part I have not declared how very efficient plant leaves are at shutting down water loss when drought conditions prevail. Plants are fascinating things. I once read about plants that grow in deserts with zero rainfall, but near coastal areas where the air is charged with humidity from the sea. Not only did native xerophytic plants thrive, some species actually exude water into the soil. I have been lying in my bath(!) reading The Natural Way of Farming by Masanobu Fukuoka-it was a Christmas present. There are fantastic pictures of his vegetables growing semi-naturally under his citrus trees and amongst ground covering flowers on the hillside. A mass of vegetation (dehydrating the soil I argue). However, the thought occurred how much better the soil absorbs water -rather than allowing run-off in periods of heavy rain.Quite a powerful argument for your side! The powerful argument is on the side of not digging! By default, the soil below ground cover plants is undug, therefore of good structure, rich in organic matter and leaf litter taken down by worms, protected from insolation and wind, and marginally warmer. It is the same argument against leaving ground bare rather than planted. I think I agree with every bit of that. I think I made clear in my post I love ground cover and that it benefits the soil. I am still adamant that vegetation normally dehydrates the ground. I think with your help we have agreed various extenuating circumstances where vegetation might help soil/water plant relationships and indeed create a protected environment for wild life. I am not just trying to be argumentative but the underlying principle that leaf transpiration can be large and is often an important factor when a grower works out his irrigation needs. I think evapotranspiration is another argument altogether, and dependant of many other factors - sunlight, humidity, wind etc. Even species, as many differ in their ability to regulate water. Also, practices such as pruning, application of fertilizer, frequency of irrigation etc can alter a plant's ET rate. Maybe not another argument, but certainly not a myth - it's just too big and variable a subject! A very interesting one to be sure! I have enjoyed the debate. We both are passionate about our subject! Slugs on the other hand (I consider myself a first class slug killer) .....being mild they are out and about early this year, in my garden anyway!! I am just listening to the morning radio as I write this. They are talking about the present rather mild weather and the effect on wildlife. It will also encourage slugs! It might also effect premature plant growth, were warm weather to continue for long. I will be making some comment on this in my next post- I have just pruned some roses in France! One of my passions, Angie, is how science and gardening relate to each other. I realise some of my posts are a little obtuse and perhaps 'debunked' is over provocative. I dearly want to promote discussion on some of the more technical points I might introduce. I have just 'clicked through' to your lovely blog. I have immediately added you to 'my favourite blogs' on blogger and therefore automatically become a follower!